Manchester United will play hosts to Paris Saint-Germain at Old Trafford on Tuesday night looking to continue their remarkable unbeaten run under Ole Gunnar Solskjær. The Red Devils come into this game at the back of an emphatic 3-0 victory versus Fulham which will give them a lot of confidence to secure a positive result in midweek. Solskjær is expected to stick with his favoured 4-3-3 formation and might choose to make a few changes to his side for this crucial European encounter. David De Gea will retain his spot in between the sticks for the Reds of Manchester after he kept back to back clean sheets against Leicester City and Fulham in the Premier League. He can expect a tough night while up against one of the most feared strikers in European football in Kylian Mbappe. The centre-half pair of Phil Jones and Victor Lindelof might get the nod to start at the heart of the Man United backline. Marcos Rojo won’t be available due to injury, but both Eric Bailly and Chris Smalling should be part of Solskjær’s bench in midweek. 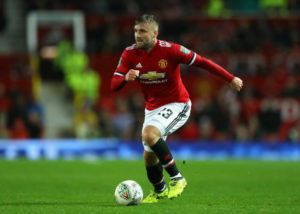 Ashley Young will take his place as the right-back once again while Luke Shaw resumes his left-back duties on the other side as he aims to cause some problems for the PSG defenders going forward. It will be a difficult match for the Red Devils as they will face off against a solid dangerous Paris Saint-Germain team boosted by the likes of Angel Di Maria and Julian Draxler, who will look to cause problems down the wide areas. Solskjær is expected to name a strong midfield which might be composed of Paul Pogba, Ander Herrera and Nemanja Matic. The talented trio have worked well together and knows what it takes to win going by their performances in recent matches. Pogba is currently enjoying the form of his life after he scored a hatful of goals for United over the past few weeks so the Frenchman will play a vital role in the attacking end of the pitch. The Red Devils frontline will see the likes Anthony Martial and Jesse Lingard operate as the wingers while Marcus Rashford spearheads Solskjær’s attack up front. Rashford was rested during United’s win over Fulham last weekend so he should be fresh and ready for this midweek game versus PSG. Both Alexis Sanchez and Romelu Lukaku will be available on the Red Devils bench and might come on during the contest if required. 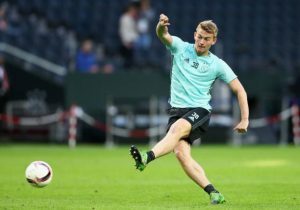 24 Y/O Defender On Leeds United Radar Not To Be Pursued By Newcastle: Bielsa Should Get This Done! Tottenham Hotspur Plotting Summer Move For 22 Y/O English Fullback: Pochettino’s Best Bet? Manchester City Reportedly Agree Fee For This English Speedster: Much Needed For Pep?